A large “Four Points by Sheraton” sign has gone up outside the Havana hotel that this week becomes the first in Cuba to operate under a U.S. brand since the 1959 revolution. The military-owned Gaviota 5th Avenue Hotel, close to the Caribbean seafront, is one of two hotels that Starwood Hotels & Resorts Worldwide agreed to manage in a multimillion-dollar deal with Cuba in March. Starwood is the first U.S. company to commit major money to Cuba since Fidel Castro and his bearded rebels overthrew a pro-American government on Jan. 1, 1959. The company said it would not close the 5th Avenue Hotel while it refurbished it, a process that would take several months. Workers were re-painting the lobby on Monday. According to Starwood’s website, it will start operating state-owned Gran Caribe Inglaterra Hotel under its Luxury Collection brand on Aug. 31. U.S. President Barack Obama has called the embargo a failure and Washington is increasingly issuing special permissions to companies to do business with Cuba. 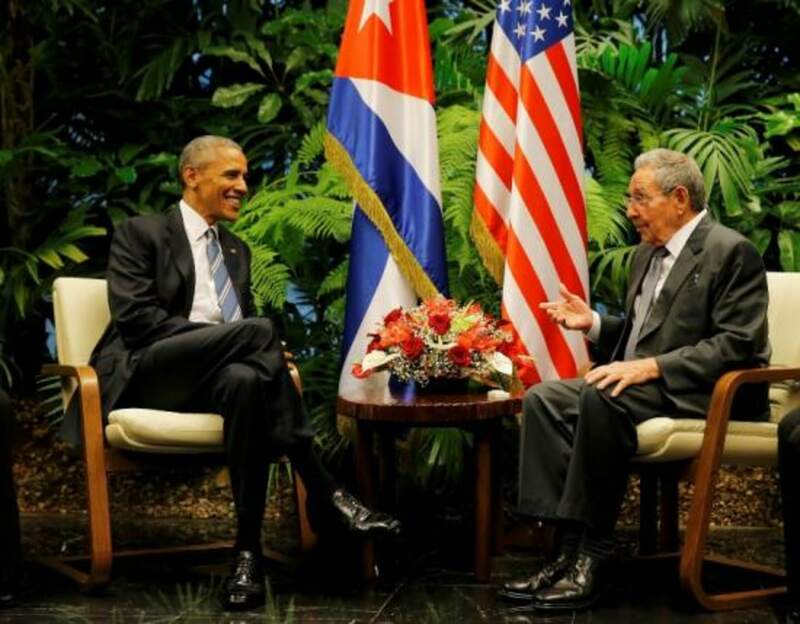 Florida-based Stonegate Bank has received permission to issue credit cards for use in Cuba. On Monday, Cuba confirmed these could be used to withdraw cash in the country. These examples remain exceptions to the rule. Only the U.S. Congress can completely remove the Cuba embargo, and the Republican majority leadership wants it in place as long as Cuba’s one-party state represses domestic political opponents and holds a media monopoly. Many U.S. business executives see Cuba as a missed opportunity and have stepped up interest since the detente. Among those are U.S. hotel chain executives, keen to get in on Cuba’s recent tourism boom. Cuba had 1.5 million tourists visit in the first four months of 2016, up 13.5 percent from a year earlier, partly due to relaxed U.S. travel restrictions. Those numbers are expected to balloon if the United States lifts its travel ban altogether. At Gaviota 5th Avenue Hotel, bookings are already unavailable for several future dates, with rooms going for nearly $200 a night. Castro nationalized the tourism industry after the revolution, but since then, Cuba has struck joint venture deals with several foreign hotel operators. There are currently no comments on Cuba Opens First U.S.-Operated Hotel. Perhaps you would like to add one of your own?